We're expecting a huge storm today + into tomorrow. So with work canceled, I took the opportunity to blog about some of my recent looks (while spending the day hanging out with (babysitting) my little cousins). Here is what I wore yesterday to work and then out to dinner. 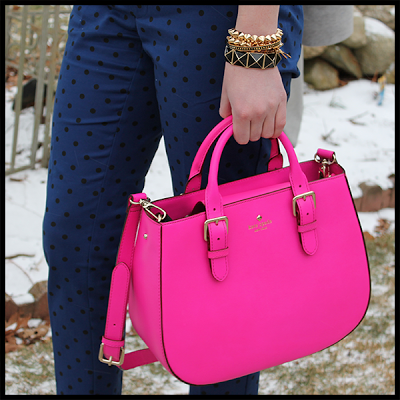 Yes, I finally snagged this Kate Spade purse I had been eyeing for months (it was a major steal at over half off). Its never to early for a bright pop of color. Stay warm and stay tuned for more posts this week.